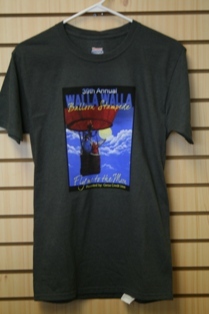 Your place to find official 2013 Walla Walla Balloon Stampede clothing, accessories, and collectibles. 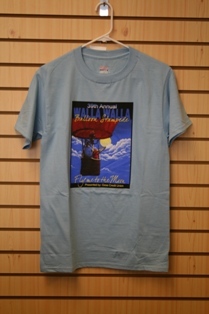 This year's merchandise includes apparel for men, women, and kids: posters, shirts, pins, and more! All adult t-shirts are available in unisex sizing. Polo shirts available in men's & women's sizes. Vests are available in men's & women's sizes. Call 509-525-0850 Monday - Friday 8:30am to 5:00pm. We accept all major credit cards. Shipping and handling fees may apply. 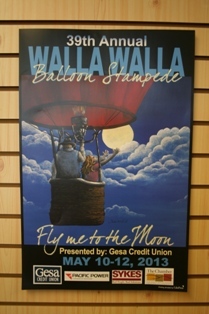 The Official Walla Walla Balloon Stampede Poster will make a fine addition to home and office decor. Each year the Festival Committee goes through the arduous task of selecting one artists' work to represent the annual commemorative poster. This year the winning poster was designed by local artist Christina Kennell. 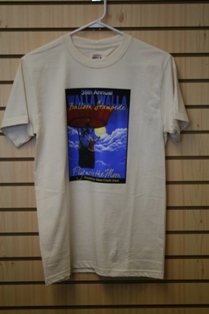 The Walla Walla Balloon Stampede Commemorative Pins continue to be the most collected of all merchandise. 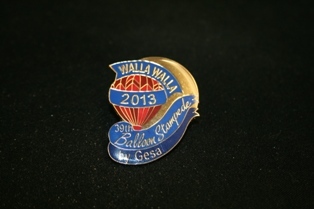 The 2013 Commemorative Pin is not only a wonderful collectible souvenir, but a great value! 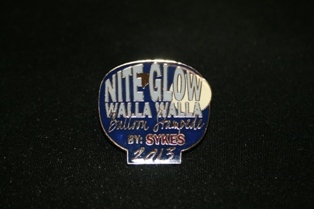 Get your pins early - Pins will be on sale at the Chamber office beginning mid April. 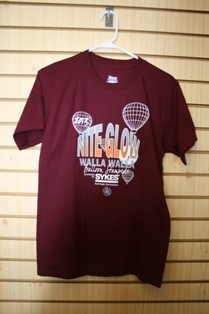 You can also get it on-site at the Festival Memorabilia Booth.